183 loops included: Introducing a fully decked out, sinister collection of dark flavorful music production loops. Welcome in Ghost Loops – Dark Underscore & Rhythms. Inside Ghost Loops – you will find introspective pulsating synth patterns, dark sequences, haunting tonal chimes, beats, thought out layers, textures and so much more. This loop library is inspires crime, military, investigation, cinematic scores and game background music. 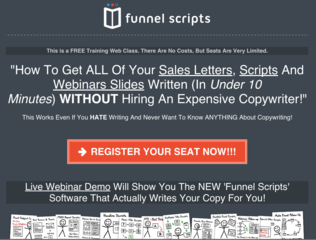 Construct your music how you like it! 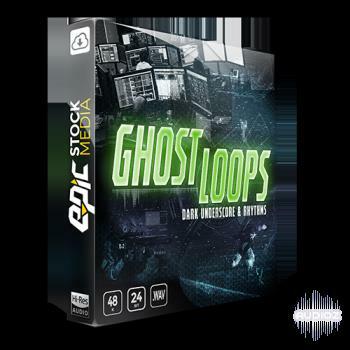 Ghost Loops provides 3 mixes of each loop. Inside you get a full, melodic, and rhythm layer/mix of each loop so you can arrange, sequence, tweak, tune and compose your next soundtrack exactly how you want! We created this library to cater to game developers and top tier composers working in the Film, TV and Game industry. Created by Epic Stock Media’s award winning composer David Levy. With our 180+ loops to choose from and all files presented in high quality 24bit 48k .wav file format, we are confident you will use Ghost Loops – Dark Underscore & Rhythms as an essential part of your investigative, military productions.